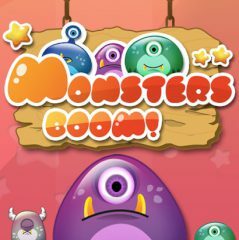 Enjoy popping different monsters and have fun getting points. Monsters live in this pattern, but you are not agree. Just pop them and make a chain reaction to get rid of them!